Dr. George Hanna is a nationally recognized pain management specialist and double Certified in anesthesiology, as well as interventional pain management and pain medicine. He was also appointed as Director of Pain Innovations & Technology while at Harvard, as well as Medical Director of Pain Management at Martha’s Vineyard Hospital. Dr. Hanna then went on to serve as Chairman of Anesthesiology and Pain Management at Chilton Medical Center, Atlantic Health System in NJ. He has delivered numerous educational lectures as well as published several scientific articles and textbook chapters related to anesthesiology and pain management. 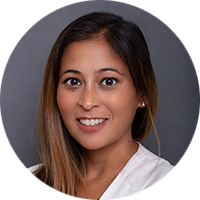 Dr. Hanna is currently available at Pain Treatment Specialists in Manhattan, and Clifton Pain Center. He is now accepting most major medical insurances, including Medicare. As a native of NYC, I am incredibly excited to care for patients in my hometown. I’m a compassionate pain doctor with specialized expertise in the most advanced techniques to treat pain. Primarily focusing on back pain, neck pain and joint pain. Every pain care doctor is carefully selected to join our team based on rigorous criteria, credentials and impeccable bedside manner. Dr. Khimani is a nationally recognized leader in the field of pain management and venous medicine. She is known for improving patient wellness with an expert and personalized approach. Dr. Khimani accepts most major medical insurances, including Medicare, at our New York Pain Management Center. 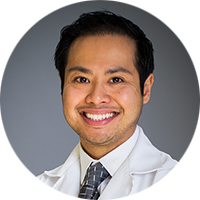 Dr. Michael Nguyen is a Triple Certified Pain Medicine Specialist. He offers the highest level of pain care in New York and New Jersey, as part of our team of Ivy League pain management doctors. Dr. Faisal Mahmood is a Certified Pain Specialist and surgeon. He is well-known for his expertise in Spine & Orthopaedic conditions, as well as for the treatment of knee and hip arthritis. 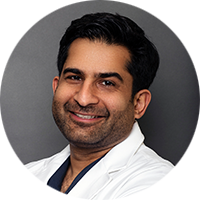 Dr. Mahmood is currently available at our New Jersey Pain Care Clinic.